Healthcare conferences rarely give patients a voice. This one-day, multidisciplinary, not-for-profit conference explores current and future issues in healthcare from the perspective of patients, families and carers. – Do health apps help? – Ill health in women: a special case? – What should participatory medicine look like? – Patient-centred healthcare: can we afford it? 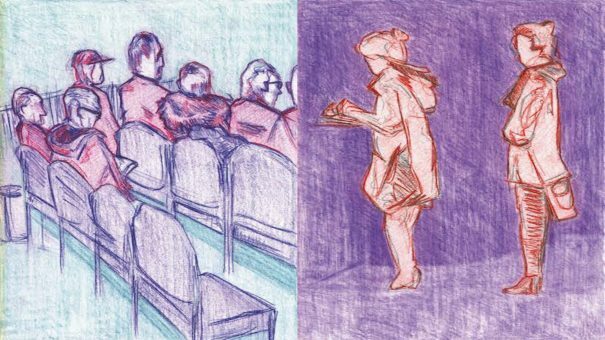 There will also be an exhibition by medical artist Tony Pickering, entitled ‘The Art of Being a Patient’, and an end-of-conference networking event with musical accompaniment. Catering for this event is included in the admission price. This is a not-for-profit event, but we do need to charge something to cover our costs. We have kept the price low to be accessible to as many potential delegates as possible. We are conscious, however, that some potential patient delegates have limited funds. Consequently, we are pleased to offer five free places to patients affected by significant chronic disease. We operate an honesty policy in asking only those who genuinely cannot afford the fee to apply for these complimentary tickets. We are looking for companies and organisations with a patient focus to join us on Friday 18th May 2018 at Haus der Wirtschaft. The emphasis is on interdisciplinary education and real-world benefit for patients, relatives, carers and healthcare professionals. We are offering table-top space and room for 2-3 pull ups in the reception area close to the registration desk at €600 each. Contact Rob Davies (robert.davies@stgmed.com) directly for further information.